Coming to you live on Stable TV!! It's Dainty Pony the palomino diva, looking fabulous in all of her ruffled fur. 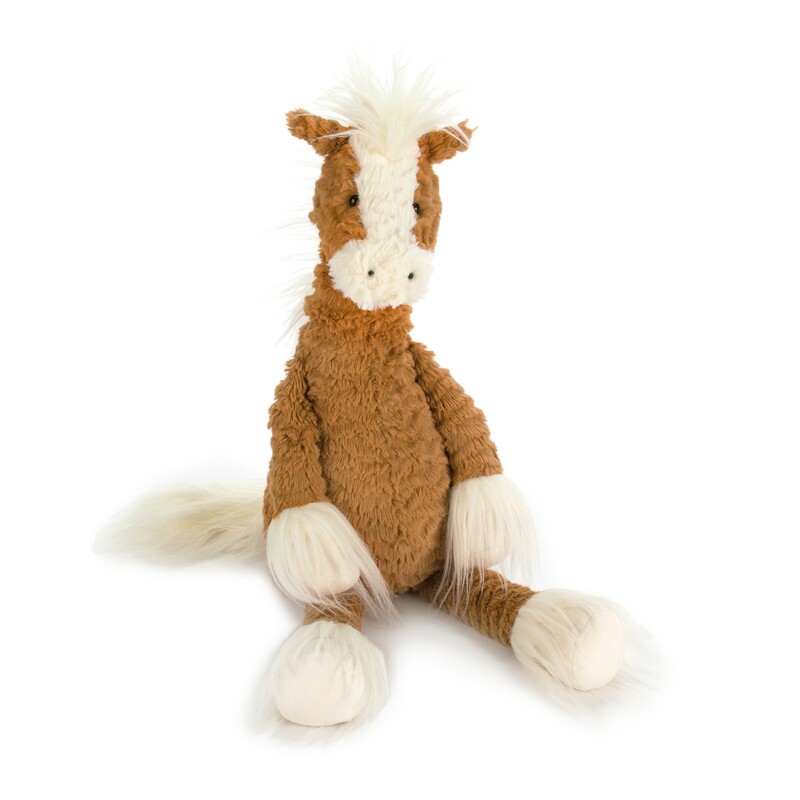 With a creamy blaze of Jellycat fur, her silky mane matches the gorgeous locks on her soft, suedey hooves. Dainty's favourite music is clip-clop, and she loves to dance, waggling her long arms and legs all about as she pop and locks! 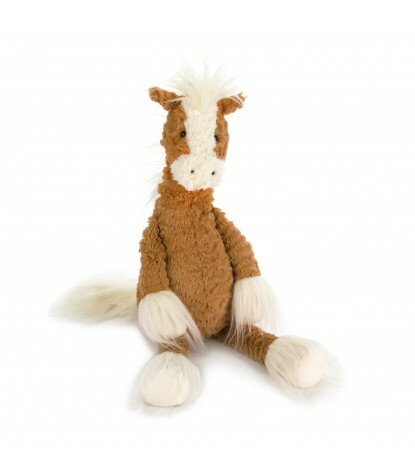 This Jellycat stuffed animal sure is a hooferstar!